The Delhi High Court on Monday issued a notice on a petition filed by Magic Sewa Pvt. Ltd. an operator of radio taxi services in National Capital Region, challenging the “peak time charge” and “surge price” imposed by taxi aggregators, including Ola and Uber. Posting the matter for further hearing on April 25, Justice J.R. Midha ordered the Government to file a status report as to the steps being taken against Taxi Operators flouting the Rules. “When people are made to suffer, the government cannot wash off its hands and fail to take action,” the Judge was quoted as saying. The Court stated that if Ola/Uber are advertising low fares and then charging high fares, then the Government ought to take action against them. The State of Delhi had issued a notification under Section 67 of the Motor Vehicles Act, 1988, fixing the fares of economy taxis at Rs 12.5 per km. Interpreting this section, the petition submits that as per the statute, city taxis can only charge as per the fare notification issued by the State and have no liberty to charge either lower than the minimum notified, if any, or higher than the maximum notified. 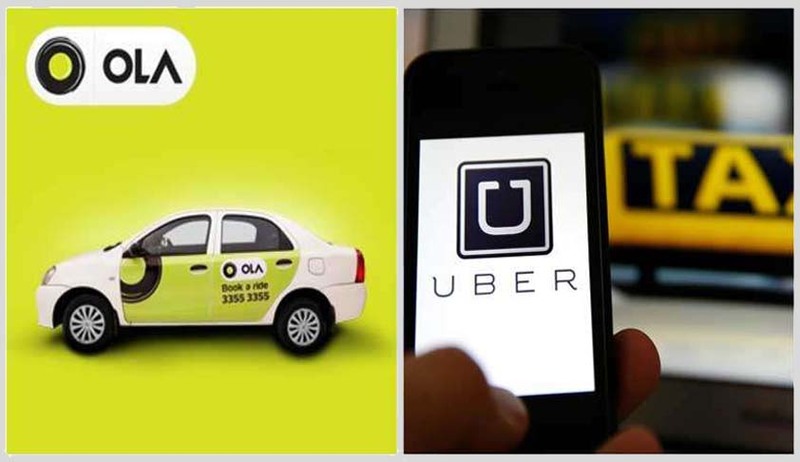 It alleges that several unlicensed taxi aggregators, such as Ola and Uber routinely violate these rules, indulging in both, overcharging and undercharging. The rates charged have been alleged to be as low as Rs. 5 per kilometer, and as high as Rs. 38 per kilometer in the name of “peak time charge” or “surge prices”. It challenges the argument put forth by the unlicensed taxi aggregators, that the surge prices are meant to encourage more taxi-drivers to come onto the road when demand arises. This concept, it claims, is borrowed from Europe and North America, where the scheme encouraged private drivers to drive during increased demand. This however, it contends, is not the situation in India. It further brings to the notice of the Court that on the first fortnight of January 2016, when odd-even scheme was implemented, virtually the entire day had peak time charge and surge price in force. “The said Unlicensed Taxi Aggregators saw the odd-even scheme as an opportunity for illegal gains rather than remain within the bounds of law and make positive contribution to a social experiment,” the petition states. It submits that under Section 66/192A, such Unlicensed Taxi Aggregators are liable to be prosecuted and levied a penalty ranging from Rs.2,000 to Rs.10,000 per count of overcharging or undercharging. The provision also specifies prison term of 3 months to 1 year, in case of repeat offence. However, no action has been taken against these aggregators. The petition alleges violation of several other provisions of law as well, such as operating without a license, remaining outside the bounds of the City Taxi Scheme, 2015, running taxis on diesel, failing to install panic button with hooter, using tourist permit taxis for providing point to point service, etc. The petition hence demands that the State be directed to obtain all historical data of every invoice issued by the Unlicensed Taxi and Auto rickshaw Aggregators for journeys in or passing through Delhi and use such data to initiate appropriate legal proceedings against the Unlicensed Taxi and Auto rickshaw Aggregators. This data is then demanded to be used to prosecute vehicles operating under the Unlicensed Taxi and Auto rickshaw Aggregators, for violating section 67 of the said Act by either overcharging or undercharging for every historical journey. It is interesting to note that soon after Chief Minister Arvind Kejriwal warned of “strict action” against such violations, Uber Delhi on Monday suspended surge pricing with immediate effect. “Given threat to livelihood of our partners, at expense of reliability, we’re temporarily suspending surge with immediate effect,” Uber Delhi tweeted.